Saida has over 25 years’ experience of Private Client work and manages our Private Client department. She specialises in Wills, tax planning, probate, Lasting Powers of Attorney (personal and business) and Court of Protection work. 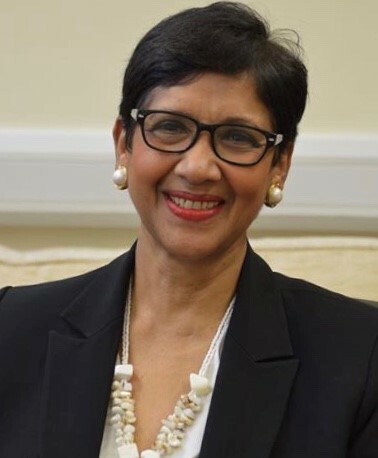 Saida Siddiqui has extensive experience in assisting clients with their wills and related tax planning, Trusts, Lasting Powers of Attorney (personal and business), Court of Protection work, probate work as well as assisting with termination of Lloyd’s of London Hardship Agreements. Saida has a sympathetic approach and understands the need to provide sensitive guidance to her clients with the utmost skill and care and over the years has acted for many high net worth individuals. Tax efficient wills including statutory wills and wills for the disabled. Estate planning and deeds of family arrangements. Estates often involving business and overseas assets. Estates of Lloyd’s of London Names. Saida has specifically advised on Lloyd’s hardship agreements and termination agreements. Charitable legacy work (notably on behalf of major London NHS hospitals including Great Ormond Street Hospital and Royal Marsden Hospital. Court of Protection work, including Lasting Powers of Attorney (personal and business) and management of affairs for clients with disabilities and elderly clients. Establishing and managing a wide variety of trusts some of which have been extremely complex. Saida trained at Inner Temple, London and has worked at City and West End firms including Field Fisher Waterhouse and Kingsley Napley. Saida is also a governor of Bancroft’s School (an HMC school) and sits on the main Board and the Education Committee. In her spare time, Saida enjoys listening to classical music and visiting museums and art galleries.